Pizza is one of the most beloved Italian dishes. It is also among the most popular snacks in many parts of the world. But if you want to taste an exciting version of this all-time favorite, try a wood-fired pizza in Madison. What Is a Wood-Fired Pizza in Madison? 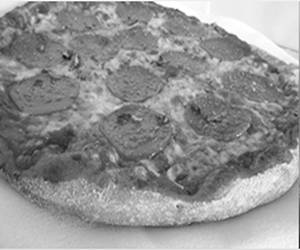 This type of pizza is prepared using a wood-fired oven that is made of clay, concrete, brick, or other materials. The temperature inside the oven can be higher compared to regular ovens. As its name suggests, a wood-fired pizza in Madison also uses burning wood to cook. Avoid the long wait when you order a wood-fired pizza in Madison. When you dine out with your friends or family, chances are, you want your food served at the soonest available time. If this is you, a wood-fired pizza in Madison is perfect for you because it can be ready in no time. The high temperature in the wood-fire oven makes this pizza faster to cook compared to regular ones. Enjoy full flavors with a wood-fired pizza in Madison. If you think your regular pizza is bursting with flavor, then you may want to think again. A wood-burning oven brings out the best flavors of a wood-fired pizza in Madison. The high temperature in the oven can also make a wood-fired pizza in Madison crispier compared to the ones cooked in a regular oven. These pizzas are also known for having great-tasting crusts. Five cheeses, alfredo, garlic, and marinated chicken are the ingredients of this appetizing wood-fired pizza in Madison. For this delectable wood-fired pizza in Madison, we use basil, oven-roasted tomatoes, fresh mozzarella, and garlic on the olive oil-brushed crust. Fire-roasted asparagus, chicken, sun-dried tomatoes, roasted garlic are the ingredients used for this yummy wood-fired pizza in Madison. We top this pizza with feta cheese plus our five-cheese blend. Chicken, gorgonzola, peaches, and Italian cheeses are the ingredients for this tasty wood-fired pizza in Madison. We top this pizza with arugula, lemon honey, vinaigrette, and balsamic glaze. This mouthwatering wood-fired pizza in Madison is made up of our blend of five Italian cheeses on top of tomato sauce. The best thing about this pizza is that you can add your favorite toppings to it! Treat yourself with this savory wood-fired pizza in Madison. The ingredients are pepperoni, Italian sausage, ham, mushrooms, black olives, onion, black pepper, and five cheeses. Pepperoni, Italian sausage, ham, and five cheeses are the ingredients of this mouthwatering wood-fired pizza in Madison. This wood-fired pizza in Madison is perfect for customers who are looking for a healthier treat. The ingredients are five cheeses, alfredo or marinara, and four veggies from our toppings list. Do you want to try a different pizza? Head over to Benvenuto’s Italian Grill today, and order our wood-fired pizza in Madison. Get in touch with us to make reservations. We look forward to serving you our version of wood-fired pizza in Madison soon!